Michael spent a substantial part of his career successfully leasing specialty shops within the portfolio. In more recent years his focus has been working with the development team to deliver new, expanded and refurbished major tenants to the portfolio. In addition to negotiating many renewals and expansions of these tenants, Michael has negotiated and delivered 3 new Coles, 1 new Woolworths, 2 new K-Mart’s, 2 new Big W’s and 5 new Aldi’s to the portfolio. These new major deals have been a catalyst for a reinvestment and refurbishment program within the portfolio. 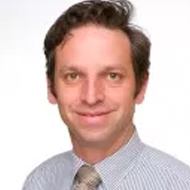 Michael holds a Bachelor of Applied Science in Property Economics from The Queensland University of Technology and a Real Estate Managers License.